Most 2-in-1 convertibles make compromises. For instance, the Dell XPS 13 2-in-1 used an ultra-lowpower processor to keep its weight and dimensions down. The Portégé X20W, on the other hand, packs serious specs, stonking battery life and enterprise-grade biometric security. All in a chassis that weighs 1.1kg, which is 140g lighter than the XPS 13 2-in-1. 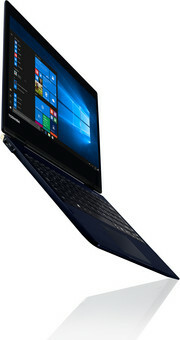 The Toshiba Portégé X20W will appeal to those looking for a laptop that can last all day long, and deliver some serious computational power while weighing almost nothing. It is expensive, but that won’t be a problem for the target audience. Positive: Great built quality; long battery life; nice display; high performance; good cooling system. Negative: Uncomfortable keyboard. Model: The Toshiba Portege X20W-D-10V is a lightweight convertible laptop. It is lighter than every other 360-degree convertible and even lighter than most tablets with a keyboard dock. 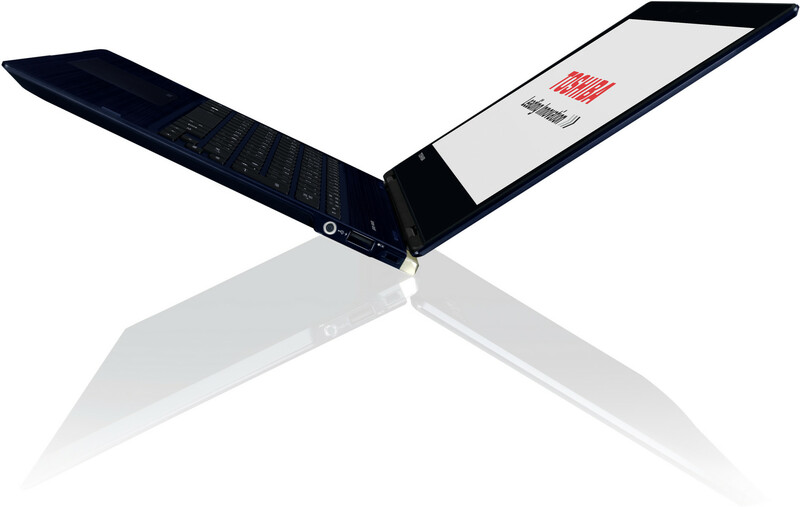 The Toshiba Portege X20W is ultra-thin, extremely light. If features an outstanding battery life of up to 16 hours, and is ready for cutting-edge input devices, such as Wacom's TruPen and Windows Ink sketch pad. 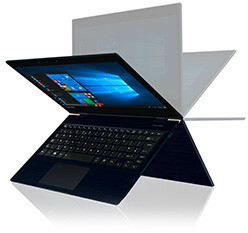 According to Toshiba, the Portégé x20w is the slimmest 2-in-1 device with the latest Intel Core processors up to Core i7. A weight of 1024 g confirms the 12.5-inch device's astonishingly low weight. This is even lower than convertibles with a folio-keyboard dock not to mention among all similarly sized 360-degree rivals. Toshiba achieves this flyweight by waiving on aluminum and using magnesium alloy. The matte surfaces imitate brushed aluminum and have a cool metal-like feel. The construction's torsional stiffness is good especially that of the base. The Toshiba Portege X20W-D-10V features Toshiba's new hybrid air cooling system. An inlet at the back draws in air to cool components and the chassis, while another inlet on the underside provides air for cooling the CPU. The 12.5-inch screen offers a Full-HD resolution (1,920 x 1,080 pixels), which at 176 ppi puts it at the lower end of what's expected for a flagship business laptop these days. Top and bottom bezels measure about 18 mm and 28 mm, respectively, while the side bezels are about 8 mm. Except for SmartCard, all tools for connecting and using the X20W in companies are installed. This includes a Trusted Platform Module 2.0 for making encryption and log-in options more secure. Beyond that, the X20w-D features its own BIOS, Intel's Active Management, Microsoft's Management Instrumentation Interface, and Toshiba's System Center Configuration Manager in terms of hardware and software. A fingerprint scanner, IR camera for Windows Hello and a cable-lock slot are also present. The touchpad-integrated fingerprint scanner (SecurePad) and facial recognition via the IR camera (Intel Authenticate Support) make log-ins and log-outs more convenient. As for the battery, it features a 3-cell lithium-polymer battery which will last for up to 14.5 hours. Toshiba does not leave anything out in terms of interfaces. Thunderbolt 3 is simply a must-have for such a premium device. Like Thunderbolt 3, the USB 3.1 Type-C Gen.2 port supports data sharing, recharging, and DisplayPort. Only two interfaces follow the combo-headphone jack on the opposite side: USB 3.1 Type-C Gen.2 (10 Gbps support) and a USB 3.0 Type-A port (sleep and charge USB). An AES stylus pen, the USB Type-C power supply, and a USB-C-to-HDMI adapter are in the box. Microsoft Office 365 (1-month trial) and Toshiba's Eco Utility are preloaded. Like most Portege laptops, this too is a serious business machine. It is slightly on the pricey side but it does offer a lot of additional features, mainly on security side.